This museum is dedicated to the historical war between British and the Boers. The museum tells the tragic tale of the war, its effect on the women, children and society in general. The museum has the exhibits the story of the war and also hosts the Women's Memorial on the same site, fronted by a sculpture by the renowned South African Anton van Wouw. Children have a concession in entry fee. 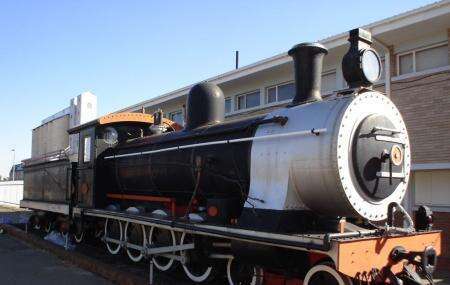 How popular is Anglo Boer War Museum? People normally club together Free State National Botanical Garden and Kings Park while planning their visit to Anglo Boer War Museum. Very neat and well kept, from the grass to the top floor. Very reasonable prices too, we payed R50 in total for two pensioners and a adult. Beware that it will be an emotionally moving visit when you realize the scope and horror of the war. It is not a huge museum and you can take everything in under two hours or less. No cameras allowed inside. Bathrooms were neat and clean and there is an elevator, allthoug you would move from one hall to another by stairs. Historic and some detail information on the Anglo Boer war, very informative about South african history. Place is well taken care off. Spent about 2 hours here and could not finish the viewing. Will definitely return. Entry about R120 adult. Absolutely loved this monument to our South African history. Very, very sad and tragic! But the curation of all the memorabilia is soo well done and every effort seems to have been made to preserve it all in mint condition! Fantastic display! Do not miss!! Great place for a family trip with lots of history and beautiful gardens to enjoy a picnic.